I had to edit almost all his files so the whole character here. I only made the one hyper, so any other problems with the char are not my fault, any issues with the hyper itself throw my way. 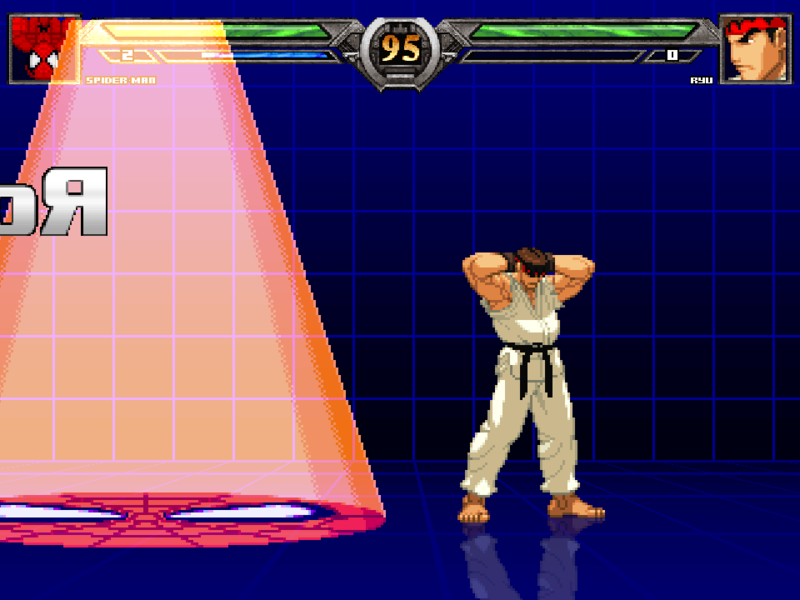 This hyper "resets" the round, refilling both characters health, draining the opponent's power to 0 and giving you 3 meters, putting you back into about the starting position and their intros. -What is the reference? 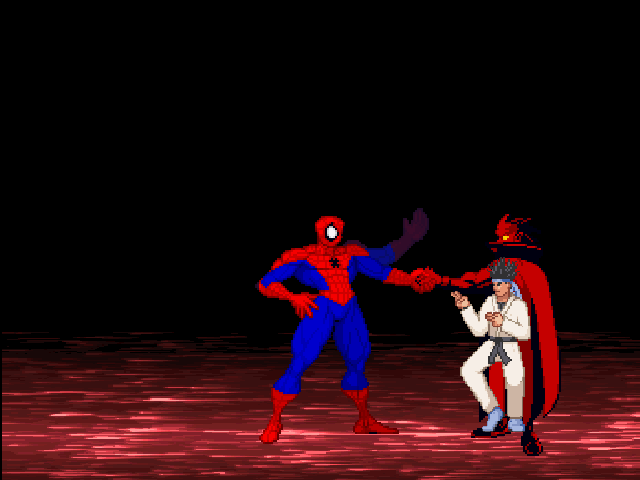 Spider-Man making a deal with the devil? I guess? Which comic was that? 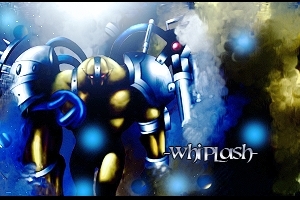 -Why Seth's Spidey? 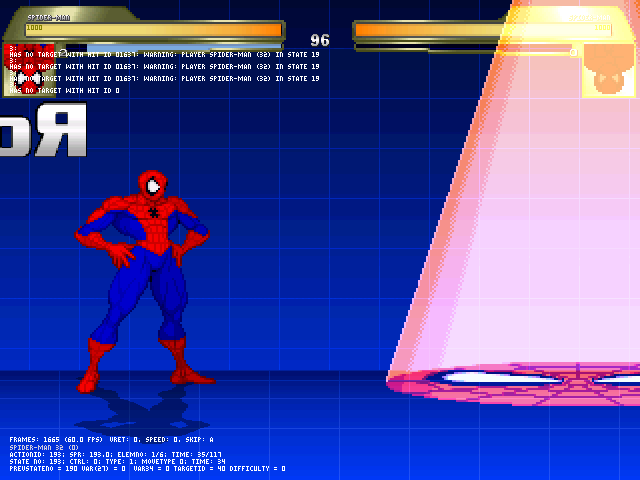 Never tried his so it'll be interesting in all, is his your favorite Spider-Man for Mugen? It's a reference to the Spiderman comic One More Day. I would think the savestates are something different, but still extremely impressive as well. This One More Day reset sounds super useful unlike the savestates as well. Ill fix this tomorrow. I never tested on p2 side. My rationalization is he has a bunch of unique hypers that other spider mans don't, but the real reason is I made this with no internet and he was the spider man on my pc. Sprites by gate btw. this was all just a silly joke gate came up and I offered to code.